Product code: 724 Categories: Sold Items, Sold Rolex Watches. This is one of the hardest and most popular ladies Rolex watches out there. 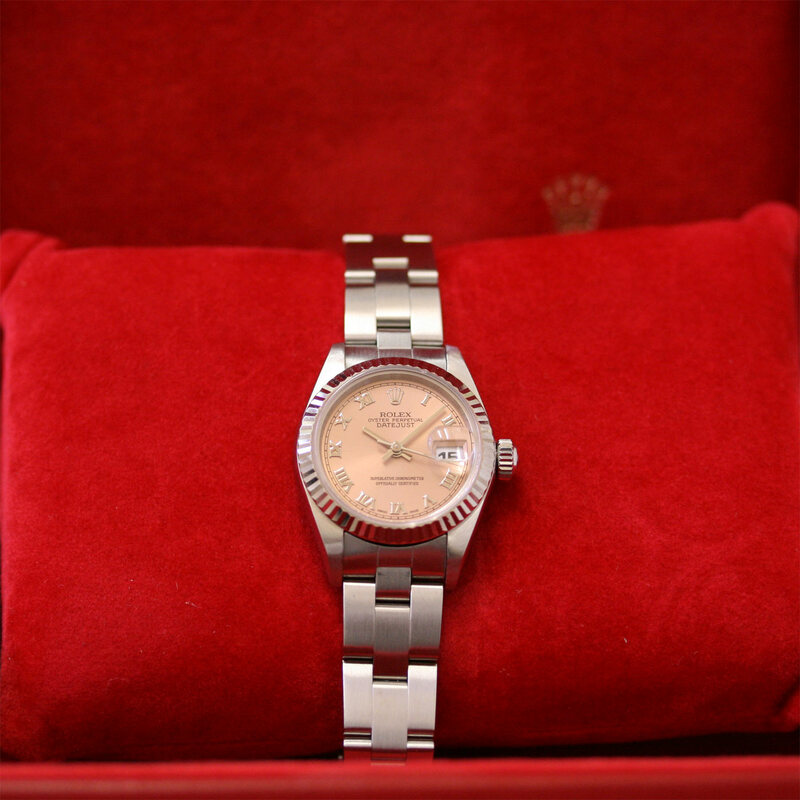 The traditional Rolex Oyster Perpetual Datejust, with the salmon coloured dial and the Oyster bracelet. To compliment the watch further, the Roman numerals really give it that extra touch of style and elegance. The automatic movement keeps perfect time, and this is a watch for someone who wants just one watch to wear all the time. The sapphire crystal gives it that extra strength and durability for weekend or weekday wear. In a stainless steel case, this Rolex is in fantastic condition and won’t last long.